Merry Christmas to all of those on the path to a better wellbeing! I wish you many “I’m full of energy” days this year! That’s an ideal time to talk about natural sweeteners. Specifically, those that are considered raw or close. Recently, I shared how to make a date paste, and called it a perfect raw sweetener. You may think, okay, but what about stevia or honey? Aren’t they good enough? Let’s go through these two and several others, and see why you may want to regulate their intake. Raw honey is one of Nature’s most unparalleled inventions, if you ask me. If honey is genuinely raw, from a honeycomb it goes directly into a jar. Scientists are still uncovering its endless benefits. It’s easy on digestion, so fragrant, its flavor is out of this world. In addition, honey has a relatively low glycemic index. That means that it has little effect on blood sugar levels. This, in turn, means that there won’t be too much insulin release into blood. Too much insulin in blood on a continuous basis may result in diabetes, cardiovascular diseases, and other issues. In my first year of being raw I could eat honey all day long. Literally, teaspoon by teaspoon sometimes it could add to nearly a cup in a day! I don’t know what I was thinking about. I don’t eat honey now but planning to come back to it. Because I love it. Its heavenly taste and aroma have no analogs I think. 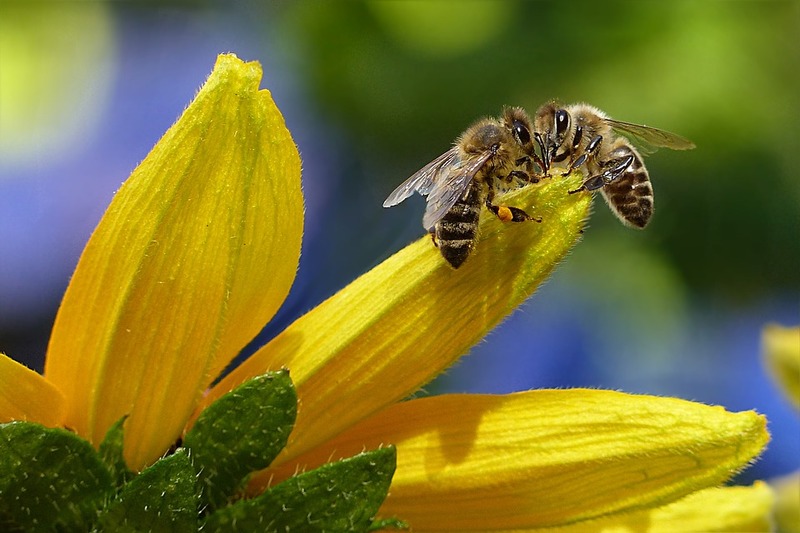 Rainforest, linden, buckwheat, blackberry, acacia, clover, dandelion.. what honey isn’t tasty? Maybe manuka? It got a medicinal taste to it.. but I still would argue. That’s how coconut trees bloom. So adorable and secretive, isn’t it? A “nectar” is not a marketing catchword here. This stuff is a nectar for real. Of sap-like consistency, it’s coming from coconut tree blossoms! What makes it raw, is that the nectar is evaporated at temperatures below 43°C. With light sour notes, beautiful to look at, made from my beloved coconut trees, its sweetness is charming. 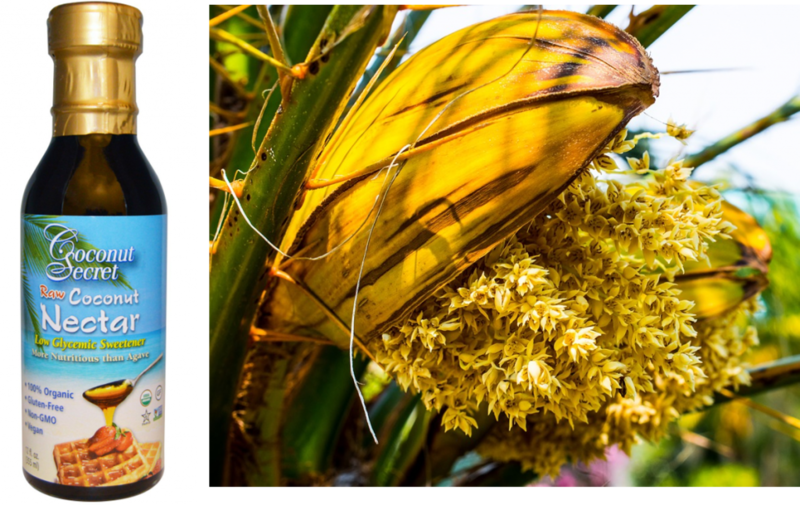 Coconut nectar has a pretty diverse and rich nutrient profile. It contains all 9 essential amino acids (! ), a bunch of minerals, B vitamins, and much more. Regarding B vitamins: it also harbors those cognition-promoting B6, B9 and even trace amounts of B12 (! ), which I talked about in the beginning of December. Coconut nectar is wonderful once in a while – as a special treat. Stevia extracts is what is what you will find most of the time on the market. On the other hand, a dried stevia leaf is harder to find. 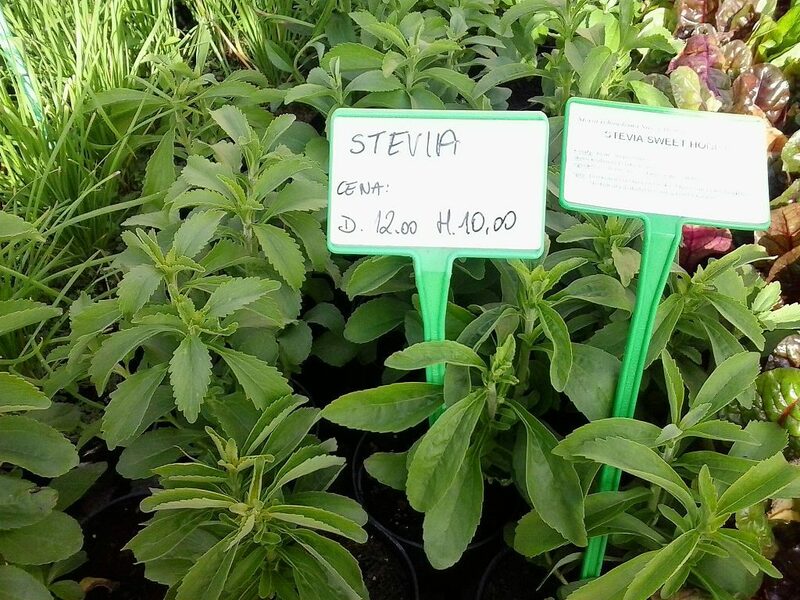 Stevia was consumed since antiquity by some cultures. Hence, while stevia extracts may be a novelty, a plain dried stevia is not. Two examples of such cultures are Paraguay and Japan. Those who want to lose weight are attracted to stevia like it’s a magnet. This is understandable – it doesn’t add any calories to people’s days, which sounds amazing. On top of everything, some commercially available stevia sweeteners are filled with harmful ingredients. A few even contain GMO ingredients, like Truvia. You really need to watch what you are purchasing! If you decided on stevia, then your best bet it to make extra effort and find a dried stevia leaf. This one looks decent. This overpowering sweet substance is juice of a blue agave. 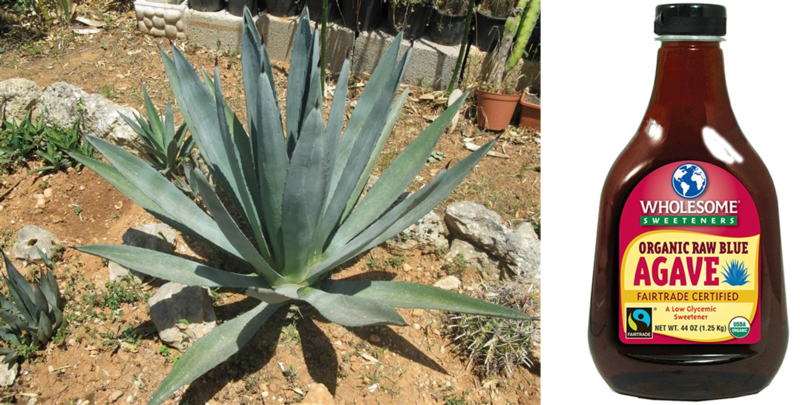 The same plant that tequila is made from! To make a syrup, its juice is slowly warmed to temperatures below 40°C (2). A few years ago this was the only sweetener that I used for quite a bit. I’d say its sweetness is pretty neutral, almost like that of a plain sugar. However, I find it extremely sweet. Scientists and health gurus have not agreed on its glycemic index. Some say it’s low. Others say it’s not different than that of white sugar. Overall, a raw agave syrup sounds like a decent raw sweetener. I quit the agave because it didn’t do any good to my teeth. 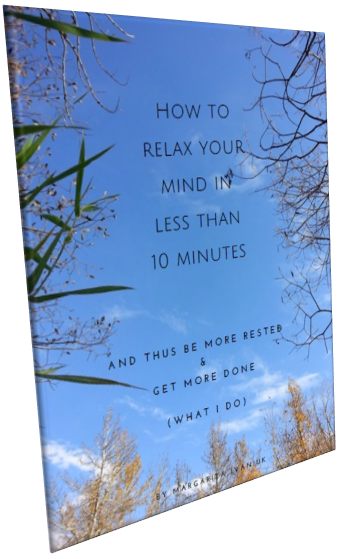 Ramiel Nagel’s knowledge-filled site (3) and his book were some of the resources that helped me realize that. The best two from the above? If you asked me to choose only two from the above, I’d take raw honey and coconut nectar. They make tastebuds happy, abundant in good-for-yous, and overall, you feel good after them. Regarding which coconut nectar to give a try. I tried the one by Big Tree Farms. Specifically, the blonde variety. Although it doesn’t say “raw” on a bottle, this variety is heated to low enough temperatures. You can get it in many natural food places. Whereas, on a bottle of the Coconut Secret one, it actually says “raw“. It’s not hard to find either. 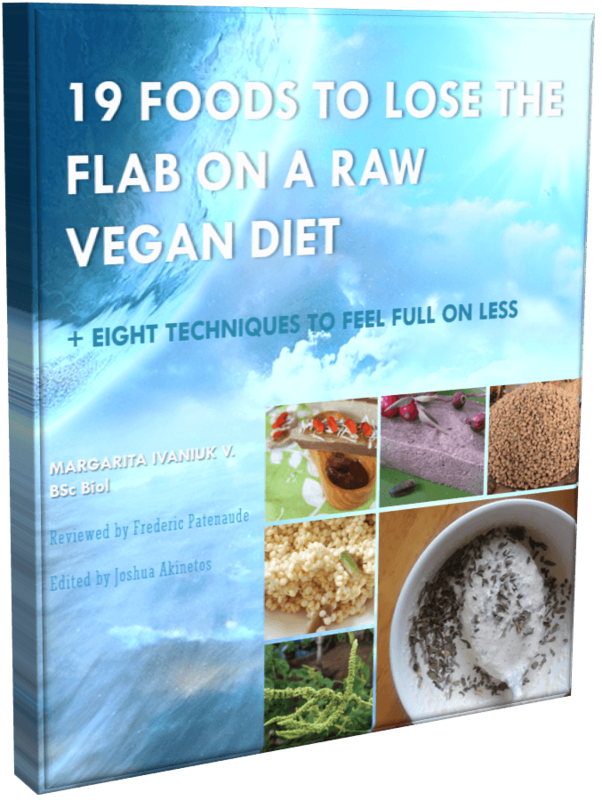 Hopefully, the above helps a little when choosing a raw way to sweeten your meals. As always, if you have anything to ask or comment, I’m all open.